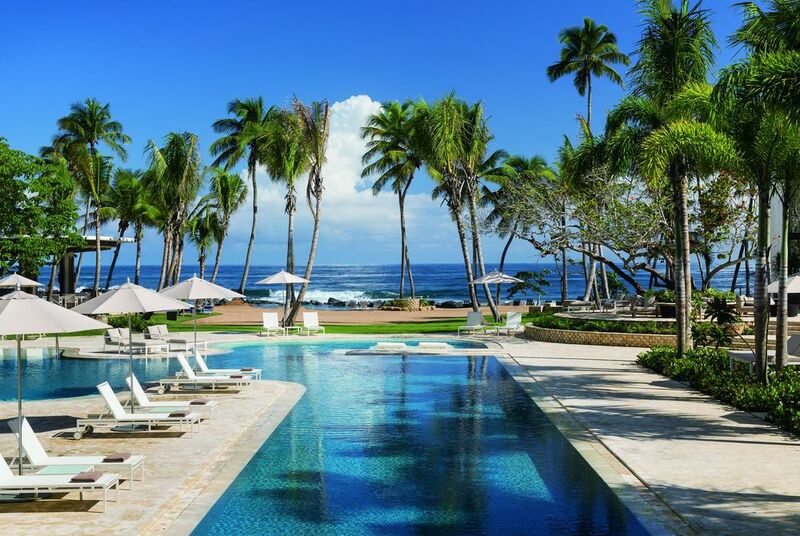 Dorado Beach, A Ritz-Carlton Reserve. This is the dreamiest tropical retreat. As you enter this Ritz-Carlton Reserve property, expertly landscaped palm trees, lush green foliage and tropical flowers surround you and follow you to the open air lobby where you’re certain to be greeted with fresh fruit popsicles and your first glimpse of the bright blue Atlantic. 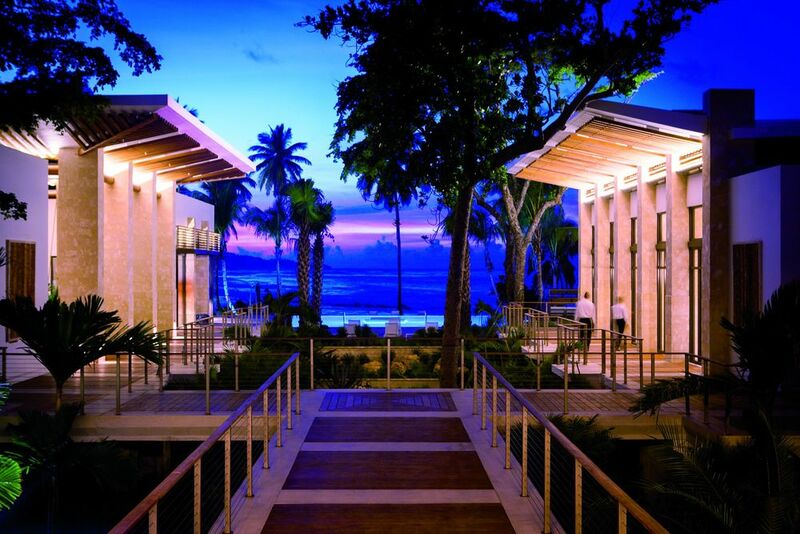 Everything about this hotel from the pools to the restaurant to the beautifully manicured beach is pure paradise. Forget your diet and prepare to fill your heart and soul with all of the good food in Puerto Rico. 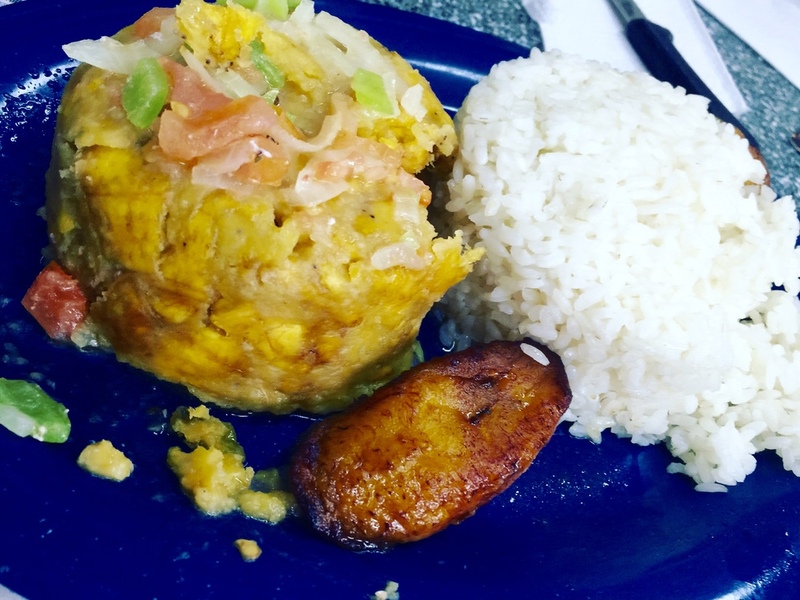 We suggest you try plantains every way they’re served, but our three favorite plantain dishes are mofongo, tostones, and alcapurrias. Mofongo is a fried disk or ball of plantains that is often stuffed with meat or seafood goodness. Tostones are essentially flattened and double-fried plantains and a good substitute for French fries. Alcapurrias are fritters made from deep fried plantain-based batter filled with meat or seafood. You should also try the local produce. The pineapples and mangos are sweeter than you could imagine and you'll also find less common tropical fruits like guanábana (in english it's known as soursop, but we had fun trying to pronounce it correctly in Spanish), papaya, and passion fruit. We loved the fresh fruit and juices from road side stands. Last, but not least is lechón - savory pork that gets its flavor from slow roasting on a spit. In Puerto Rico, there are many ways to enjoy the sunshine, ocean, and tropical weather. These are some of our favorites! Go Snorkeling: Grab a snorkel and mask and start swimming! If you swim out a couple of strokes from just about any beach, you're guaranteed to see a handful of colorful fish. However, some sports are better than others. If you have time to make the trip to Culebra or Vieques, you're in for some of the best snorkeling around! We missed the ferry to the above spots, but found a number of small reefs around a key called Gilligan's Island or officially, Cayo Aurora. There we saw spiny lobster, invasive lion fish, tons of sea urchins and anemones, eels, barracuda, octopus, conch and hundreds of brightly colored fish. 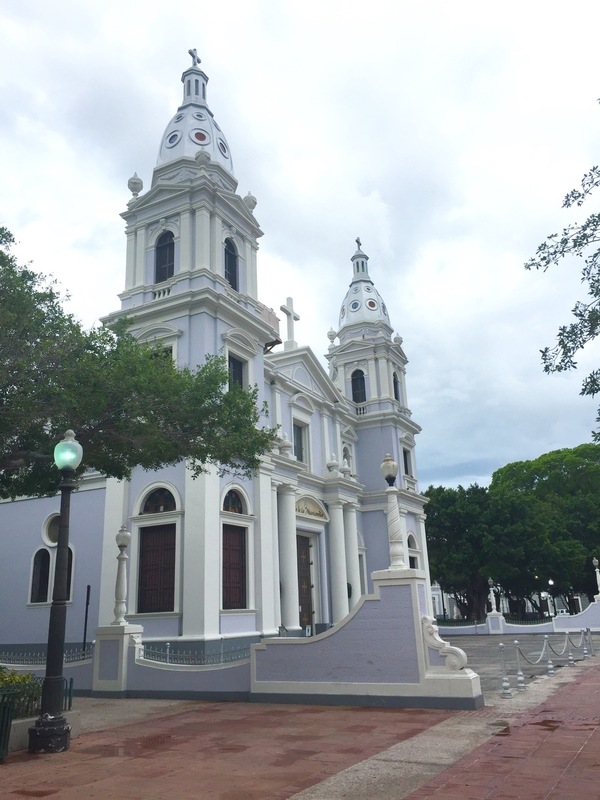 Take a Trip to Culebra or Vieques: This is a trip that you'll be wise to book in advance! There are flights, ferry trips, and sailboat trips to the island daily by various reputable tour companies. We made the unfortunate mistake of assuming if we arrived to the Fajardo ferry terminal two hours prior to the morning departure to Vieques and Culebra that we would purchase tickets without a hitch. However, that wasn't the case! The tickets sell out fast and should be purchased in advance if at all possible. Kayak to a Key: A key or cay is a small, low-elevation sandy island on the surface of a coral reef. 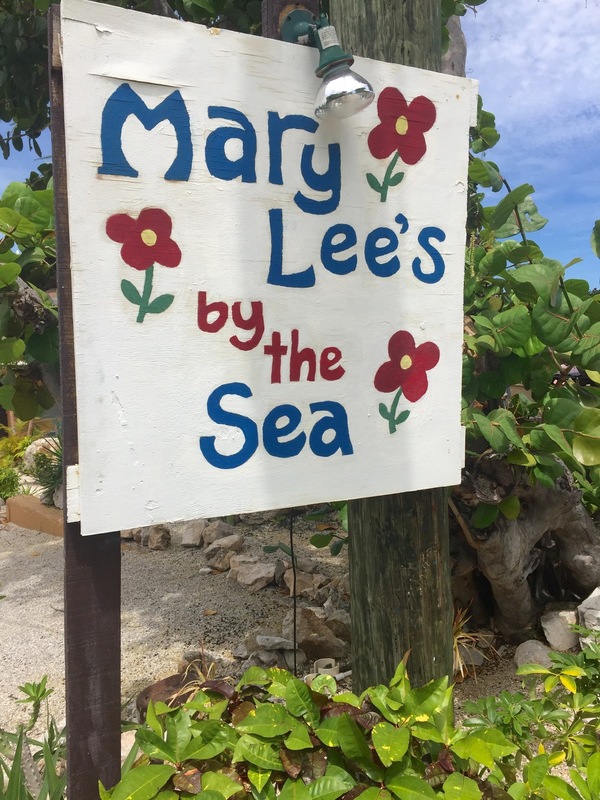 We rented kayaks from a cute little B&B called Mary Lee's by the Sea, in the small, southern coastal town of Guánica. From there we took a small trip to the a key known as Gilligan's Island, but formally called Cayo Aurora. It was just about ten minutes of easy paddling. There were mangroves to paddle through and small sandy spots to pull the kayak onto while we went for a swim and snorkeled through the reefs. We met some super nice fisherman who were diving for octopus and conch and they gave us some beautiful shells. Circumnavigate the Island: After missing the early morning ferries to Vieques and Culebra, we came up with a new plan for the day and decided to circumnavigate the island! It was a great adventure filled with many stops, snorkeling, kayaking and an abundance of tasty treats!